- One-piece construction with slant back, owns high rigidity and reliability. - Gang- type tool selection, which shorts tools changing time, and improve working efficiency. 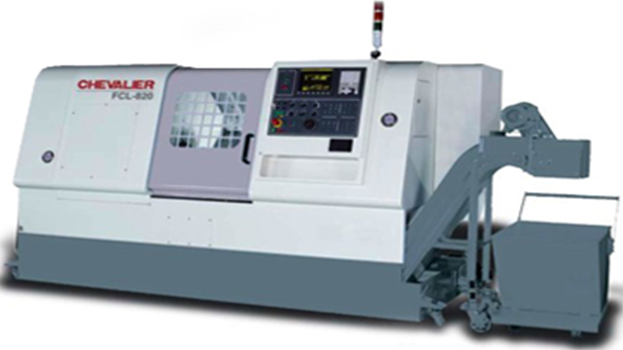 - It is ideal for high speed cutting on materials like steel, cooper, aluminum and casting. The machining accuracy of the workpiece is high. Power chuck diameter 6" 8"